Drive: 4 mm hexagon, suitable for DIN 3126-D 4, ISO 1173 bit holders. Tough-absorbing, ideal for difficult screwdriving jobs e.g. in sheet steel or metal. Wera Phillips bits offer dependable work and a long product service life because of their high precision profile design and outstanding concentricity features. Wera Phillips bits have been designed for demanding applications in trade and industry. 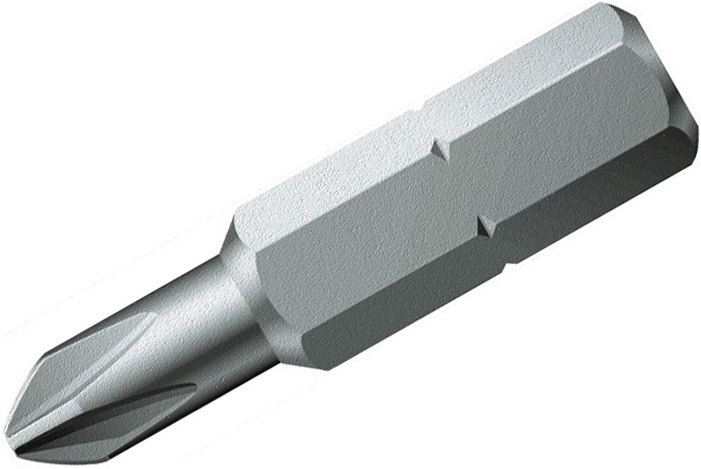 Wera Phillips bits permit the transfer of high torque loads and have a distinctively long service life.